It’s more than how you finish—timeless, functional design begins before anyone ever breaks ground. 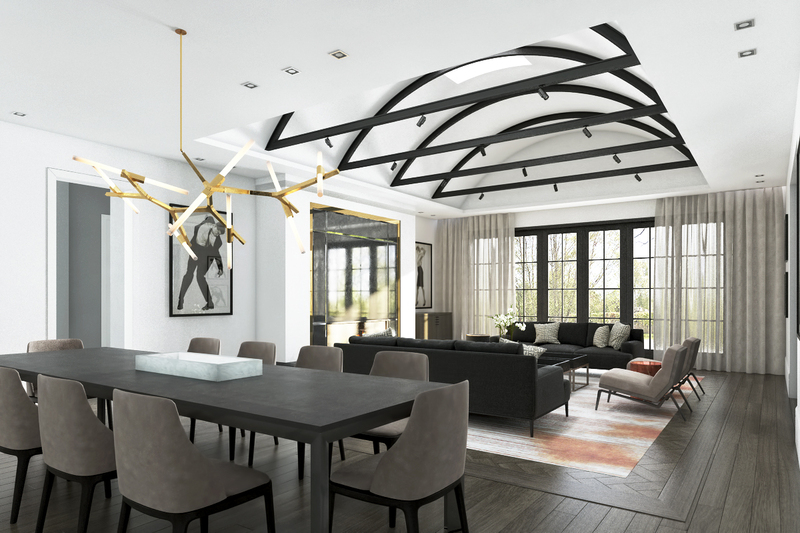 From consulting on preliminary architectural layouts to installing the final accessories, HB Design offers a full range of Interior Design services to ensure that the experience of custom home building is a rewarding one. Jennifer Heffel of HB Design in Vancouver has made both building and decorating our home an absolute pleasure. Her attention to detail appears in all aspects of the home from start to finish including lighting design, kitchen layout, and overall amalgamation of the entire project. What I personally liked about Jennifer was her ability to allow me, the client, a freedom of choice while feeling confidently guided by her professional expertise. This process requires a very talented and versatile individual working with many types of people and their individual styles and requirements. You can be assured that Jennifer will provide excellent service with unsurpassed quality to each and every client she creates with! I highly recommend you get Jennifer on board from the inception of your project to eliminate costly building mistakes. Excellent value provided at HB Design! Jen’s approach was professional, enthusiastic, and detailed. She brought her wealth of experience to our project, creating a timeless yet forward design. Any new home build requires an overwhelming number of decisions. Jen and her team guided us through the process seamlessly and we were able to relax and enjoy the process. Investing in Jennifer’s expertise and talent elevated the project to an amazing level. Our architect referred her to us by telling us, “Jennifer always makes my work look better.” We highly recommend Jennifer Heffel to anyone who wants a beautiful home that is also very livable. Jen Heffel was a pleasure to work with. As a designer she kept my choices simple; by honing in on my style and bringing me samples that exemplified them, the job was easy for me. She kept on budget and was creative with the areas she was working on. The job was completed on time and without any issues. I would highly recommend HB Design. Jen Heffel is a creative and very talented designer who helped us create an amazingly beautiful and bright living space. I recommend her highly, and even better, at the end of the project, not only respect her as a top-end professional, but have grown to know someone I would value as a friend. From our first meeting it was clear that Jennifer, who came highly recommended by our builder and other consultants, possessed the strongest professional credentials, exceptional taste and attention to detail with a warm collaborative nature. Jennifer has gone above and beyond for us in many ways. We cannot recommend her and her team at HB to you highly enough. The level of detail on the design drawings was exceptional and the environment they create is so warm and comfortable, something my wife and I really wanted. I recommend this firm with no regrets.